Why Should We Account for Intersectionality in Quantitative Analysis of Survey Data? 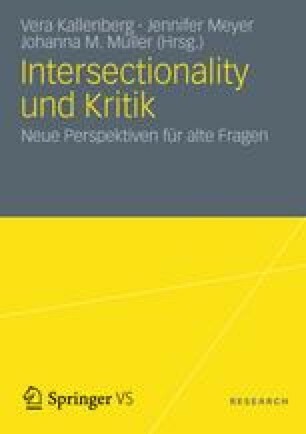 While in the social sciences most of the empirically-based research on intersectionality employs qualitative techniques such as in-depth interviewing and archival work, there is a small, but steadily growing, literature that employs quantitative statistical techniques on national and cross-national survey data. Blumberg, Rae Lesser. 2007. Gender Bias in Textbooks: A Hidden Obstacle on the Road to Gender Equality in Education. Background paper prepared for the Education for All Global Monitoring Report 2008 Education for All by 2015: will we make it? http://unesdoc.unesco.org/images/0015/001555/155509e.pdf Accessed July 4, 2010.